Dr. Chitra Lele is the Chief Scientific Officer at Sciformix Corp, a startup focusing on providing KPO (knowledge process outsourcing) services to pharmaceutical and bio-tech companies. Chitra has done her PhD in Statistics from Stanford University, and she has more than 15 years of experience in this area. This interview of Dr. Chitra Lele gives an idea of some of the areas of outsourcing in the pharmaceutical and biotech industry, as well as some of the challenges of doing this out of Pune. Before this, she was an Executive Director, at Pfizer Global R&D, where she set up India’s first biometrics center, providing services in clinical data management, statistics, programming and medical writing, and she successfully grew it to a size of over 400 staff. She has also worked as a faculty member at the School of Statistics at the University of Minnesota, and IIT, Bombay. She was instrumental in setting up Academy for Clinical Excellence (ACE) at the Bombay College of Pharmacy (BCP). 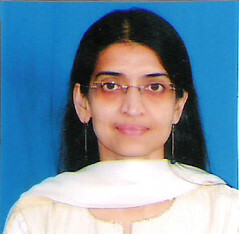 She is a visiting faculty member at University of Pune, teaching Statistics courses and supervising PhD students. She is one of the founding members of “Indian Association for Statistics in Clinical Trials”. She is a lady who wants to do quality work, and to make a difference. Statistics & programming: Pharmaceutical companies have to conduct clinical trials before they bring new drugs into the market. These experiments / trials have to be designed statistically & analyzed. A lot of statistics & programming is involved in it. This includes complex statistical simulation, modelling and analysis. It involves extensive programming, primarily using the software SAS, which is the most commonly used statistical software in the pharmaceutical industry. Scientific Writing: We do all kinds of scientific writing that pharma companies need. For example, once a drug is in the market and consumed by a large section of a population, what kinds of adverse reactions are getting reported & what do they mean medically? We summarize that data and submit a safety report. All the pharmacological details of a drug, protocols and study result reports for the trials, medico-marketing literature and much more comes under scientific writing. Safety Data Management (Pharmacovigilance): There is a toll free number present on package insert of medicines that are sold in the West. There you can report any issues regarding the drug. In the western countries, more so in North America, there is lot of awareness about this. Consumers as well as health care professionals, and pharmacists call that number to report adverse reactions. We run such call centres. There consumers might call to report adverse reactions to the drug, or any other quality issues with the drug, or medical doctors might call to ask if a particular medicine can be given along with other medication that their patients are already taking. We record such data, enter the data in Safety Databases, analyze and interpret it medically (for e.g, we assess if the adverse reaction is medically serious, and if it could be causally related to the drug) and submit reports to regulators around the world, including US FDA. Regulatory affairs: We primarily provide document authoring and compilation services in the Regulatory Affairs area. For example, if there is a small change in the manufacturing process of the drug, it has to be reported, along with a pharmacological justification that this manufacturing change has no impact on the availability and action of the drug on the body. The report has to be submitted to regulators. When companies want to market their product in different geographies, dossiers have to be written, compiled and submitted as per the country-specific regulations. Any specific problems you faced while setting up your office in India? Well, although connectivity & other infrastructure has improved significantly over last few years, (smiles) it’s still not the ideal, optimal scenario. We had some challenges. For example, when we started our office in Mumbai, although we chose a commercial & industrial area in order to have good infrastructure, only one provider was available at that time (3 years back), who could provide connectivity from this location. We had to connect to the client’s domestic office in Mumbai, and the client didn’t want us to use this provider. However, we didn’t have a choice, and had to manage the client’s dissatisfaction. But now other companies are available to provide connectivity from this location. Another, and a bigger, problem is about availability of skilled resources in the areas that we are focussed on. The entire area of pharmacovigilance was very new in India, and hence people were not aware of it. There are a lot of training institutes who train people in clinical research domain, so we do get people who have some basic awareness. But getting health care professionals to work in this area is not easy. In the west, it is common for certified nurses to work in pharmacovigilance. In India, it is not common for people having a degree in nursing to enter the corporate world. Not many MBBS doctors are willing to get into it. The clients often don’t want doctors with degrees in alternate medicine to do the medical review and analysis of safety data. So, to find the right people is the biggest challenge. And of course, we need to invest a lot in training these individuals once we hire them. The other problem area is statistics and programming. There is a pool of people in India who have a basic degree in statistics or who have done some course or certification in SAS software. But the average quality of these resources is not good, hence it’s difficult to recruit good statisticians and programmers.So we also recruit fresh graduates and train them form scratch. One of the reasons we have our office in Mumbai is availability of experienced professionals in Mumbai, and we expanded in Pune because we can easily get fresh graduates here. Do you find any difference in terms of quality of graduate students, between Pune and elsewhere? Not really. One clear advantage of Pune is that Pune University’s Statistics department is very good. We don’t recruit hundreds of statistics graduates – we just need 1 or 2. We get them easily in Pune. On a negative side what we have been experiencing is on an average, English language skills are significantly inferior in Pune compared to Mumbai. In terms of infrastructure, what are the advantages and disadvantages of Pune? Advantage: In Pune, it is easy to get office space. The scale of the city is such that you can reach anywhere in an hour. This is not the case in Mumbai. Disadvantage: Every time they dig the road our phone lines are down. This is not the case in Mumbai. And of course, the biggest problem in Pune is the power situation, which is not at all an issue for us, given our office location in Mumbai. One of the reasons to have an office in Pune is the low expenses. After accounting foreverything, it is much cheaper to operate from n Pune than Mumbai. Being a woman in a team of men, was there any advantage or disadvantage? I was in charge of my unit in Pfizer, my previous company. I didn’t find any disadvantage of being a woman at all, although I was the only woman in the senior executive team for quite a long period there. I was respected for my work, my capabilities. Even in my current company, I am the only woman in the senior executive team. Disadvantages, if any, are primarily due to personal biases of one or two individuals, and are not a general issue. Advantage: In general, there’s a gender difference in terms of the style of management. Women have an advantage in some aspects, but I can’t generalize to say that there’s an advantage to being a woman manager. There are many men who are good managers as well. There is a general impression that women take their work casually, have you experienced this? I don’t think so. In fact, 2/3rd of my staff at Pfizer consisted of women, and even at Sciformix, more than half the staff comprises of women. The impression is created, mostly because of family responsibilities. Even today, in general the expectation is that women will take more responsibilities of house and kids than men, even though their husbands try to help. But women are able to deliver things in whatever limited time they have. Also, there are enough examples of men taking their work casually, especially young graduates. How do you balance the work-life cycle? (Laughs…) In terms of work life balance, I don’t think I am doing a good job at all; I know I need to improve on that. I am a workaholic, working for very long hours on weekdays and working on weekends too. When you take an entrepreneurial route, it is even more challenging. There is no limit to how much you want to do & how much you want to grow. So, what I do is that for 1/2 or 3/4ths of a Saturday or Sunday, I try not to work. As an entrepreneur, what are the changes you had to make in your personality after starting a business? Before starting my company, although I was doing a job and my employer was a large company, I was given the responsibility of starting a separate unit for them. I set up the group of 400 people. I had support, but lot of things I had to do myself. So, I had that experience with me, nothing was new for me in this aspect. I had to change my personality quite a bit to bring in the business. Lot of persistence is required here. If I want to get some work from people then I have to keep following-up, and pushing people, which was new for me. Sometimes, I knew that I am much better than some of the people I am talking to, and I would wonder why do I have to give in to their whims and fancies…but I need the business, and they are in a position of providing me with that business, so I have to do it – this where I had to change myself. All such things require a very different mindset, persistence and aggression. Over the last three years, I think I have developed a good amount of skill of talking to clients. The way I talk now is very different from the way I used to speak before. Trying to market your company, talking about your capabilities now comes spontaneously to me in every conversation I have with the client. But I had to develop this very consciously. How do you manage your stress? It must have increased compared to before. Yes, it has increased. I try to manage by doing some exercise every day, which is a good stress buster for me. I have learned playing musical instruments. I do not play currently, but I want to start again – that can also be a stress buster. As I have already told, I try to be stay away from company work for at least half a day every weekend. Also, I have significantly increased the number of movies, plays and concerts that I go to. I catch one of these at least every other weekend. That is the stress buster too. Did you think of giving up at any point of time for any reason? Yes, such thoughts do come. When we have to deal with unreasonable customers, it is difficult. But things stabilize after a while. Sometimes, you have a difference of opinion with your peers and you strongly believe you are right, at that time it happens – but there has never been a make or break situation so far. I take it as a probably good learning for the future. The thing is, I look at the bigger picture. I left my job because I wanted to test my credibility in terms of bringing in business and building an organization, without having a big company’s backing. I also wanted to do something that makes a difference to the environment. I think I have done a reasonably good job in this respect. This experience has given me greater confidence to encounter and mange difficult situations in the future. I believe that every experience, good or bad, teaches you something and makes you a better and a stronger person. How is your family support system like? My support system is primarily my husband. Ever since we got married, we have stayed away from each other a lot, in terms of being based in different cities, both in the US and in India. I took up whatever seemed to be the best opportunity at every stage of my career. He always believed that I should do what I think is good for me and has always encouraged me work where I can use my capabilities. Everything that I have been able to do and achieve has been possible because of his strong support & backing. Was your career planned, I mean had you decided that I will do PhD and be in business after some time? No, nothing was planned as such. By nature I am not the kind of person who decides what I will do 15 years down the road. At every point of time I did whatever I thought I wanted to do. The only thing which was planned was my PhD. Nothing else was planned. So, if you ask me, what I will be doing after 3 years then I won’t be able to tell you that. Nothing unique. I like classical music; I am not practicing it now but I do listen to it, and reading and traveling. Any guidelines for upcoming entrepreneurs? I would say 2 things. First & foremost, be very clear about what you fundamentally want to do and achieve through the entrepreneurial venture that you undertake, and second, have the right kind of people with you. Any regrets looking back & anything that you think of as a turning point? Looking back, I think that every experience was enriching whether good or bad, so I have no regrets. The turning point for me was, when I decided to go for BSC in mathematics. I was a good student throughout my academic years. So it would have been natural for me to go in for medical or engineering degrees. I thought at that time that I liked Mathematics and Medicine. After the 12th standard, I chose to go in for BSc instead of trying to get into medicine or a field related to medicine I am convinced that it was the right decision. Though my parents were disappointed at that time, they are now happy that I chose this path. Pallavi is a co-founder of Krishna Infosoft, a software services company based in Pune. She has 3+ years experience in programming & development, and she works on .NET technologies, PHP etc. Pallavi is involved in design and development of customized desktop and web applications, and enterprise applications. Pallavi is also a co-founder of TechMarathi, a non-profit venture, where you can find information in Marathi for everything related to Tech.